Matthew Sweet looks back, with the Morricone expert Pasquale Iannone, on the career of the great Italian film composer Ennio Morricone. 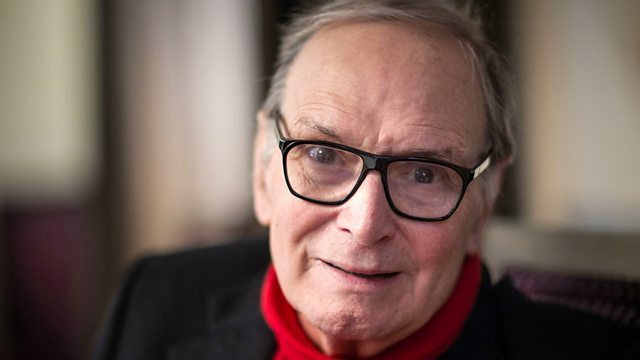 Matthew Sweet looks back on the career of the great Italian film composer Ennio Morricone with the Morricone expert Pasquale Iannone. The programme includes music from much loved classics such as "A Fist Full of Dollars" and "The Good, The Bad and the Ugly"; "Cinema Paradiso", "1900", "The Mission"; and less well known scores such as "The Investigation Of A Citizen Above Suspicion"; "A Quiet Place In The Country" and Morricone's first score: "Il Federale". The Classic Score of the Week is "Once Upon A Time In The West". Sir Christopher Frayling presents a tribute to Italian composer Ennio Morricone. Orchestra: Studio Orchestra conducted by Franco Ferrara. Orchestra: Studio Orchestra conducted by the composer.